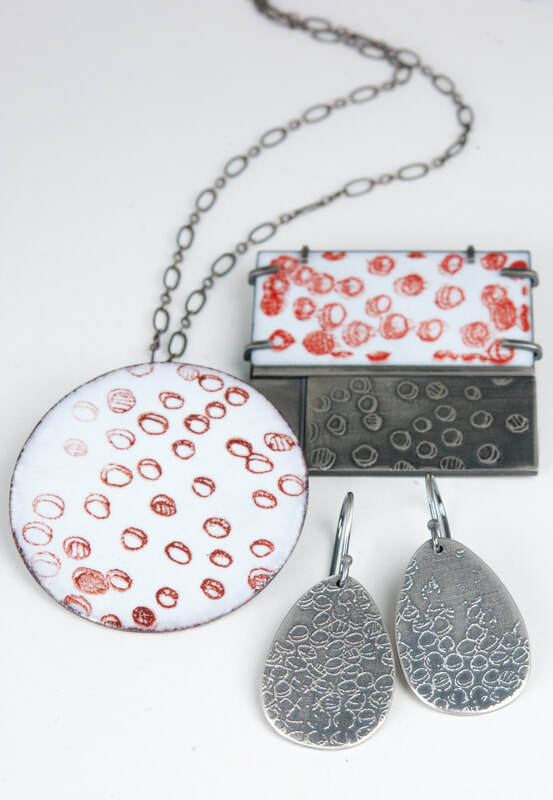 I am a jewelry designer, printmaker and mixed media artist and enjoy creating rich tapestries of pattern and texture in my work. A consummate tinkerer, I'm not afraid to dive into advanced techniques to express whimsical imagination. DIRECTIONS: From the ferry: Take Hwy 525 up the hill from the ferry dock. Take a left on Deer Lake Rd just past the Clinton Food Mart. Take a left on Harding Av. We are the third building on the left: can’t miss it, it’s blue! From n. Whidbey: Take Hwy 525 toward Clinton and the Clinton Ferry Dock. Before you reach the ferry, take a right on Deer Lake Rd. Take a left on Harding Av. We are the third building on the left: can’t miss it, it’s blue!